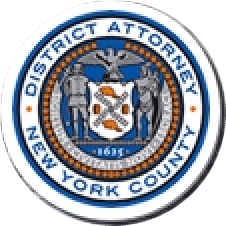 Manhattan District Attorney Cyrus R. Vance, Jr., today announced the return of a 2nd century C.E. Buddhapada sculpture to Pakistan during a repatriation ceremony attended by the Deputy Chief of Mission for the Embassy of Pakistan to the U.S., Rizwan Saeed Sheikh, and Special Agent in Charge of Homeland Security Investigations (“HSI”) New York, Angel M. Melendez. The Kushan Period artifact, which was stolen from an archeological site in the Swat Region of Pakistan in the 1980s, was recovered by the Manhattan District Attorney’s Office during the investigation and prosecution of a criminal case involving the international smuggling and sale of stolen antiquities. The repatriation event follows a joint investigation by the Manhattan District Attorney’s Office and HSI into criminal conduct involving the international smuggling and sale of stolen cultural property, culminating in the arrest and prosecution of TATSUZO KAKU, 70, an art dealer. Beginning in the 1980s, the defendant acquired and sold stolen antiquities smuggled out of countries in South Asia, including the Buddhapada, a 2nd century C.E. sculpture from the Swat Region of Pakistan that depicts the “footprint of the Buddha,” a symbol appearing in Buddhist art. Objects such as the Buddhapada are protected cultural property under Pakistani law. KAKU, however, knowingly purchased and possessed the stolen sculpture, and on March 24, 2016, he pleaded guilty in New York State Supreme Court to Criminal Possession of Stolen Property in the Second Degree. As admitted in the defendant’s guilty plea, between February and March 2016, KAKU arranged to have the sculpture shipped to a gallery on the Upper East Side for sale at a price of approximately $1.1 million during an annual art event known as Asia Week New York. Assistant District Attorney Matthew Bogdanos, Senior Trial Counsel, handled the prosecution of the KAKU case. District Attorney Vance thanked HSI for their assistance with the investigation, and in particular, Special Agent Brent Easter.